Lose Yourself in Our Enticing Nursery Shop. Our horticulturally trained staff are on hand to help you find your perfect plants. The majority of our plants are propagated by us here at the nursery. Our horticultural sweetie shop is just brimming with great plants. We are proud to be a family run, independent, working nursery. We know that sometimes you're just too busy! For those times we offer a mail order service..
Our nursery had a rather modest beginning, with Rosy Hardy and her husband Rob hitting on the idea of growing and selling plants from their own back garden at local car boot sales. That was back in 1988, when they both had a lot more hair. 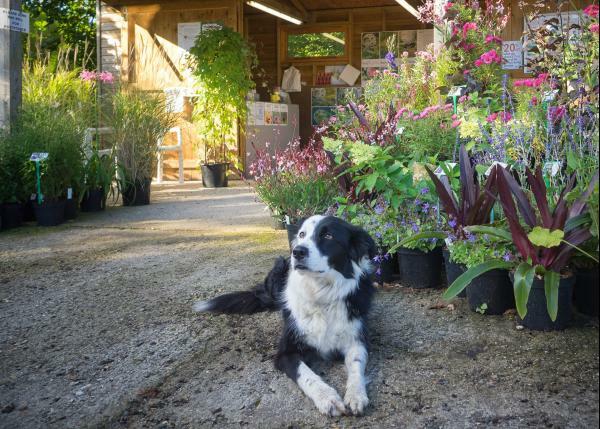 Since then, Hardy’s Cottage Garden Plants has grown from strength to strength, attracting many loyal customers and winning hundreds of awards. We are now recognised as one of the UK’s leading independent nurseries for herbaceous perennials. Still very much a family-run nursery, we believe we offer an unrivalled selection of 1,200 varieties of herbaceous perennials, from proven garden favourites to the more unusual and noteworthy. These are all grown outside in peat free compost, at our 13 acre site in the beautiful Hampshire village of Freefolk. You should come and see our stunning views over the Test Valley. As dedicated plantaholics, we really enjoy growing an exciting range of high quality plants that will thrive in your garden, whatever its situation or conditions, and make you smile. 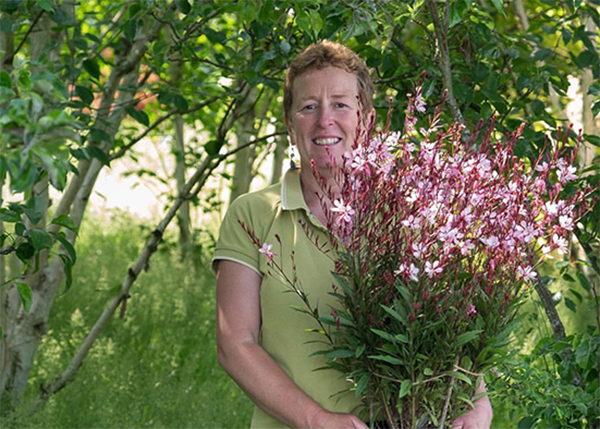 If that was not enough, Rosy and Rob are kept busy on the road, exhibiting our home-grown plants at numerous flower shows and events throughout the year. Together with the team back at the nursery, they have achieved many awards over the years including an outstanding 23 RHS Chelsea Gold Medals. All visitors, including four legged friends, are welcome at our nursery in Freefolk, as long as they, the hounds that is, are kept on a short lead. Our knowledgeable, horticulturally trained staff are very approachable, down to earth and eager to help you find your perfect plants. They nurture each plant, from the start of its life at the nursery, all the way into the boot of your car. And boy, are they skilled at packing plants safely into the back of a car! During the winter we are still open and welcome visitors. To keep you warm our staff are very willing to make you a hot drink to hold as you browse. If it turns cold, windy or wet, they are also very happy to seek out and fetch your plants while you seek cover. Here at the nursery, we hold a variety of events including a very popular series of talks and propagation workshops run by Rosy herself, plus throughout the year exciting guest speakers from the horticultural world join us to speak about their specialist subject too. We offer "Behind the scenes tours" for enthusiastic plants people and gardening groups throughout the growing season, if you think your Garden Club may be interested please follow > this link to find out more. We also host an annual Charity Open Day to raise money for our local young people and children's hospice Naomi House and Jacksplace. Come along and join us - it is always great fun and fantastic bargains are to be had. We accept both National Garden Gift Vouchers and Cards. We can supply our very own Hardy's Gift Vouchers which can be redeemed at the nursery against the cost of plants or a place on one of our popular talks -you can either order them via our website OR please email or ring us for more information. If you are coming for a day out, there is a lot to do in and around Freefolk too. At the bottom of our lane, a gentle 200m stroll away, there is a superb pub called the Watership Down, which does a rather scrummy lunch. The River Test and the Mill Trail walk, plus St Nicholas' Church, a veritable jewel of a chapel, is only a short walk further on. Another lure is Bombay Sapphire, located a mile away in the next village, Laverstoke. You can tour the distillery, including the fabulously restored original Georgian buildings, learn more than you ever thought you needed to know about gin and sample the famous tipple itself. Every bottle of Bombay Sapphire gin across the world is distilled in Laverstoke Mill. Two miles further on from Laverstoke lies Spring Pond, a stunning garden with individual garden rooms that wrap around a set of beautifully converted brick and flint farm buildings . A private garden, it opens for the NGS and by appointment. A mile from the nursery along the B3400 towards Whitchurch, you will find Bere Mill, Portal's original working paper mill that made the first Bank of England notes in 1716. Its garden is strongly influenced by both the River Test that flows through it and oriental garden design. 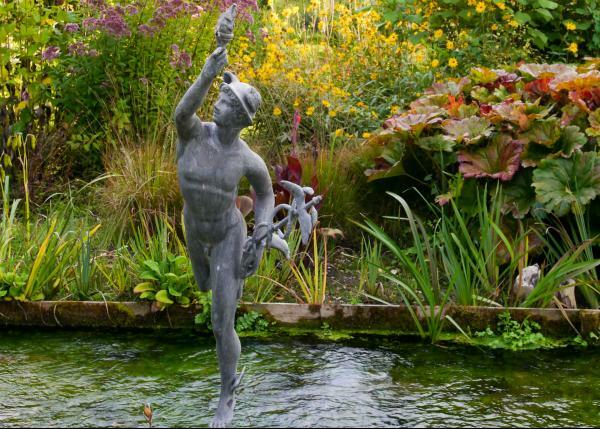 Bere Mill is another private garden which opens for the NGS and by appointment (pictured). 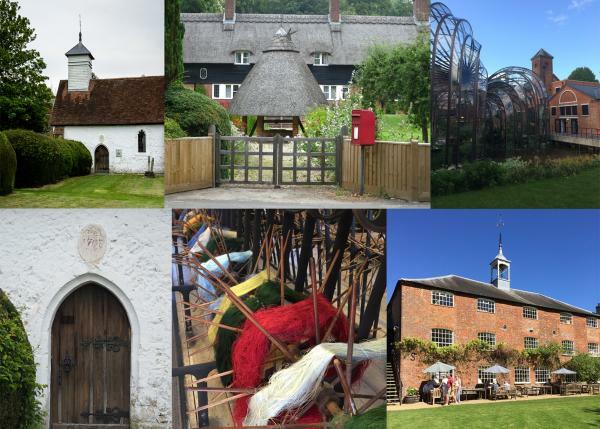 Whitchurch Silk Mill, located 2 miles away in Whitchurch itself, is a stunning industrial heritage site. This Georgian Water Mill weaves silk using 19th Century machinery and is the oldest silk mill in the UK that remains in its original building. As its exhibition will tell you, many a period drama has been graced with its opulent silks. Our aim is for you to go home happy with the right plant for a particular spot in your garden. To make it easier for you to look at and select from our plants, they are all displayed on raised benches. Colourful displays are also created around the Sales Shed to inspire and showcase combinations of plants that look stunning at that particular time in the year. New for this year is our demonstration area, where we can lay out your plants as if in your garden. It makes choosing plants so much easier and a lot of fun. If you know your botancial plant names, we also have an A-Z plant list available on request, which will help guide you to their location quickly. If you cannot find the plant that you are looking for, please do not hesitate to ask a member of staff, who will check our stock areas, or let you know when the plant will be available. If you are travelling from afar, please email or phone before your visit, to check that we have the plant that you are seeking in stock.